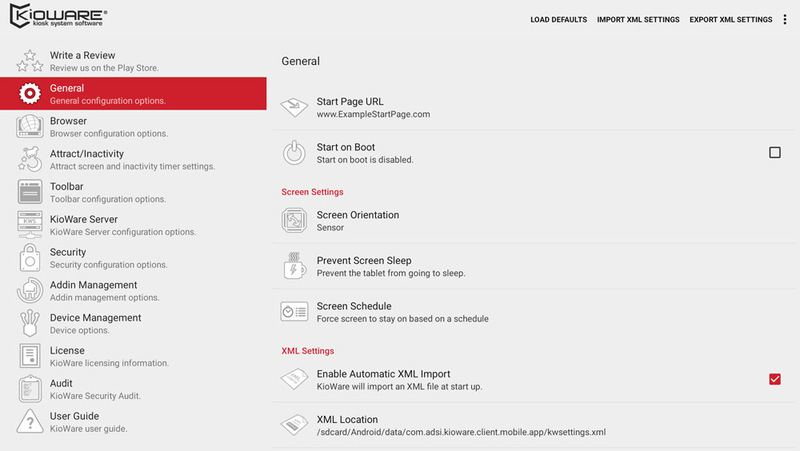 Managing your Android devices has never been easier. Just pair KioWare Full for Android with KioCloud kiosk management for a complete kiosk management solution. The client side Android software is installed on, and used to secure, each individual device. The easiest way to understand client side KioWare Full is to consider it to be a browser engine that has been modified to provide lockdown and kiosk functions. Each device is then deployed for customer, employee, or public use. 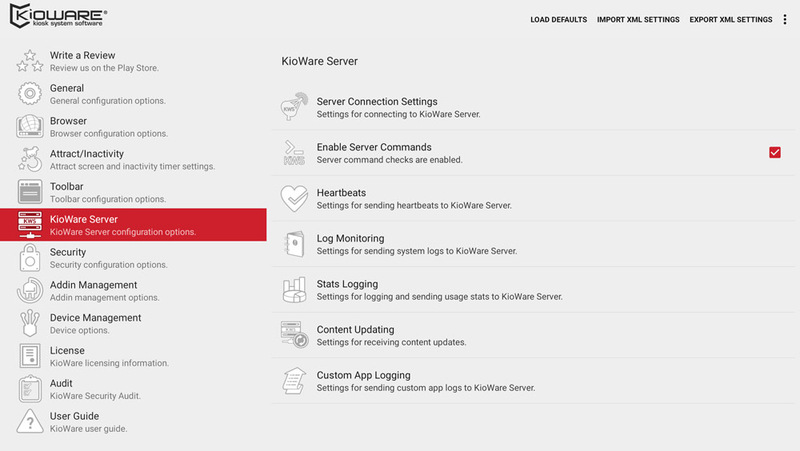 The client side software from KioWare can be managed via KioCloud or KioWare Server. 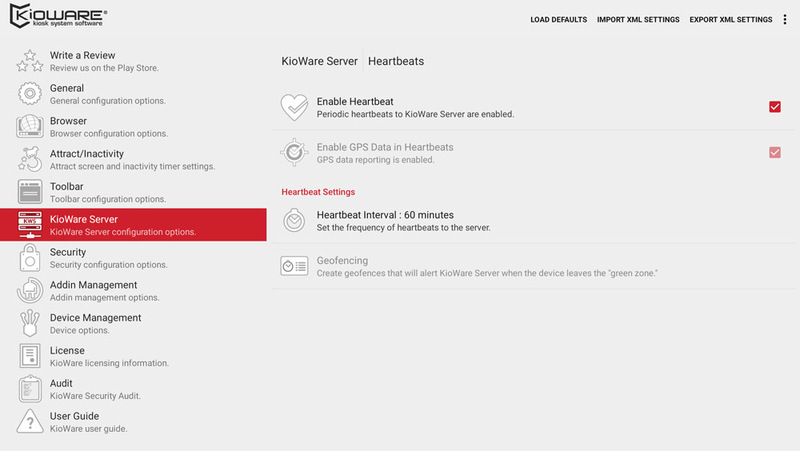 KioWare® for Android is simple to configure and available for download via Google Play and the KioWare website. KioCloud can be accessed via any device with an internet browser. 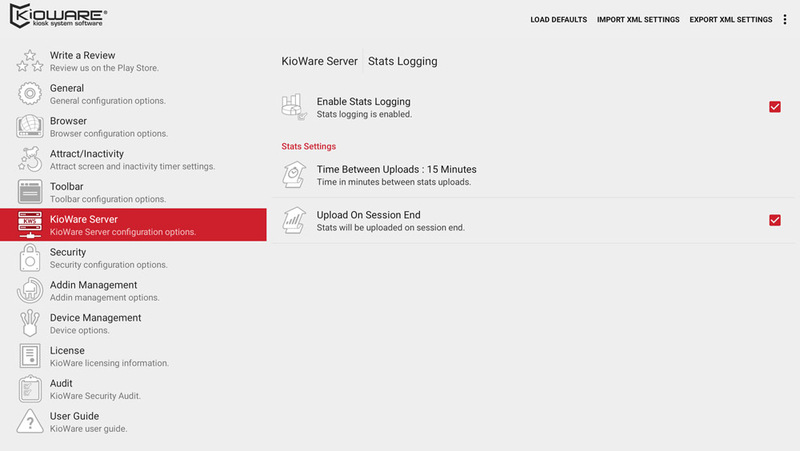 The server console enables the centralized monitoring all of the devices running KioWare Full for Android. Remotely monitor the kiosk health, retrieve kiosk usage reports, collect survey data, and push content out to the kiosks, with KioCloud. KioCloud also allows for the ad hoc grouping of kiosk projects, a feature which enables the easy distribution of promotions or information to different stores. © 2019 Analytical Design Solutions, Inc.